It has become a tradition for The 100 Gypsy Violins to give a gala concert on December the 30th. The audience will get the chance to hear the pieces of Liszt, Brahms, Strauss and Khachaturian in the interpretation of outstanding musicians. The worldwide unique 100 Gypsy Violons was founded in 1985. Those establishing the Orchestra aimed to unite the best of the famous musician dynasties and to ensure a place and workshop for them, their offspring and other talented young musicians. Saving the traditions of Gipsy and Hungarian folk music, the survival of classical folk music through performing it within the repertoire are among the main goals of the Orchestra. These outstanding musicians and first violins, thanks to their high qualification and the everlasting beauty of Gipsy music. Next to the repertoire of Gipsy and Hungarian music, they offer popular pieces of the notables of international classical music as well. With its art, the Orchestra is hoping to build a bridge between minority and majority, undertaking its own differences, saving their values to enrich the colorful palette of European culture. With their music the Orchestra finds its way to the very hearts of their audience at all times and all places. enrich the colorful palette of European culture. The 100 Gypsy Violins, as a recognition of its outstanding artistic and folklore work joined the "Hungaricum" collection, and from March 18, 2014 is entitled for the noted "Hungaricum - Outstanding National Virtue" title. The formation of the Hungarian Heritage Prize winner 100 Member Gipsy Orchestra thirty years ago was inspired by a tragic event. All of the country’s Gipsy musicians gathered for the funeral of the outstanding “primas king” (gipsy soloist) Sándor Járóka Sr., and played on the ceremony. The idea of a grand concert orchestra, to fill the remaining artistic and intellectual gap, was born. The founders – László Berki, Tivadar Mészáros, Lajos Boross - , following a months’ long preparation, officially established the “Budapest Gipsy Band Cultural Association” on November 2nd, 1985. Later, among the musicians and audience, the 100 Member Gipsy Orchestra name was used. 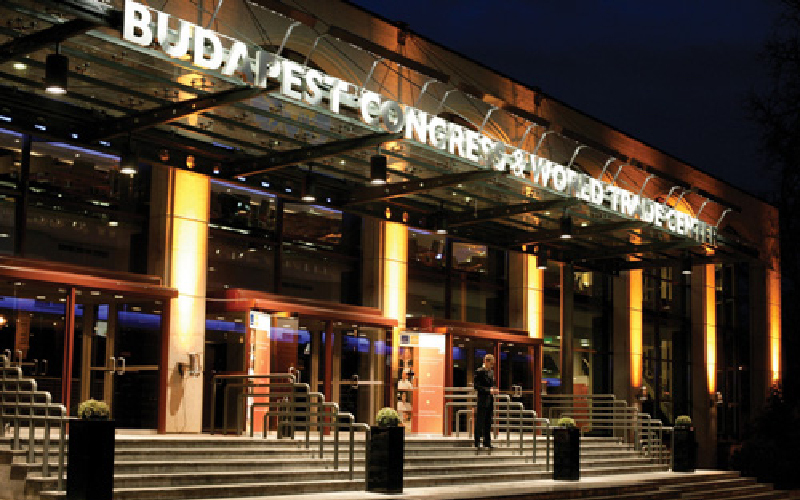 The Orchestra debuted within the Budapest Spring Festival on March 22, 1986 at the same place of today’s concert, the Patria hall of the Budapest Congress Center. The premiere was recognized by both the Hungarian and international professional audience. The 100 Member Gipsy Orchestra began its way to world fame becoming the gift of the Gods for the people. From 2016 they named as The 100 Gypsy Violins. Since its foundation, the Orchestra has given over a thousand concerts from the smallest villages to the world’s most famous concerts halls, proving the artistic value of Hungarian and Gipsy culture orchestrated for classic music on an outstanding level. The Orchestra stands as an example for the majorities and minorities of a community, forming empathy and building a bridge among differences. The aim of the members is to keep this exclusive music merit alive and to protect the centuries’ long music tradition of the Gipsy people. With the hard work throughout the generations the Orchestra has become an emblematic and inspiring institution. The ensemble operating as a classic symphonic orchestra is a world unique formation. Its repertoire includes classic pieces by Liszt, Bartok, Hubay, Erkel, Brahms, Tchaikovsky, Sarasate, Strauss etc., as well as traditional Hungarian and Gipsy music and folk melodies. The Orchestra, during the past thirty years, has given concerts and entertained the audience all over Europe, Asia, America, Australia and New Zealand. Wherever they play, overwhelming success is guaranteed. The Orchestra today consists of 138 musicians. 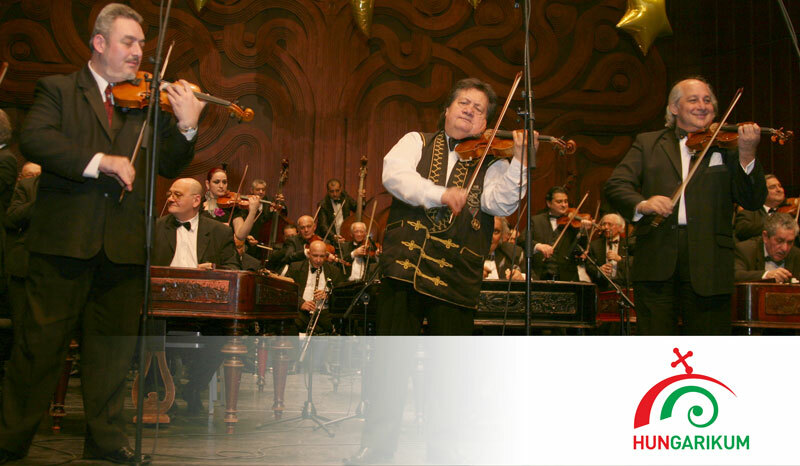 According to the critics there is “something magical” in the stage appearance of the “world’s most famous Gipsy orchestra”. The reason behind is the endless enthusiasm they diffuse. Success for these musicians is a message bringing new inspirations every single time. The 100 Member Gipsy Orchestra finds the way to the audience’s hearth regardless of the place and time, contributing to the colorful palette of European culture. Since its formation, the Orchestra has recorded 21 CD’s, 5 DVD’s gaining 5 platinum and 9 golden records. Endless radio and TV presentations have been made, as well as a road movie in 2003 in Monte Carlo, called ‘AVES”. The Orchestra has been awarded the Standard Prize of the Hungarian Radio as well as a number of professional awards and prizes. The Hungarian Heritage Prize was granted in 2000, the same year the Orchestra got into the Guinness Book of Records. The 100 Gypsy Violins, as a reward of its traditional and artistic work was enrolled in the Hungaricum Collection and given the noted “Hungaricum” title on March 18, 2014. The conditions of the Hungaricum Collection are defined by national law, and present outstanding, unique and most noted values and achievements of the Hungarian nation. 1124 Budapest, Jagelló str. 1-3. Reserved the right to change the program.